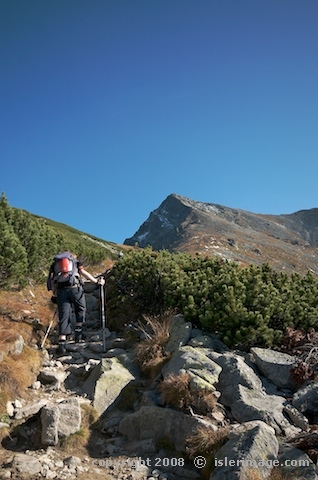 Krivan is the first and the highest peak in the western part of the High Tatras. It is a markant peak and only accesible on the south east side. The view from the top over the Tatra is amazing. Some scrambling needed at the top but the whole trail is very well marked.